A big gap on the air show circuit is being filled with the resurgence of the Saskatchewan Airshow in 2019. 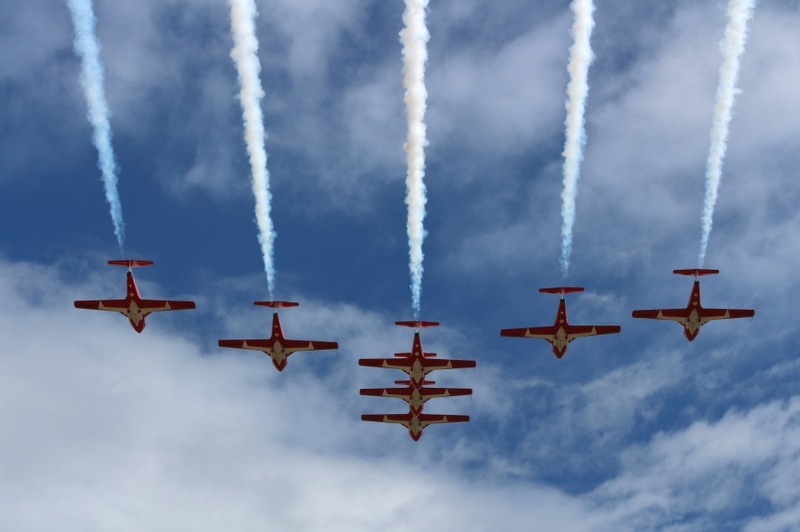 15 Wing Moose Jaw Commander Col. Denis O’Reilly said the 14-year-hiatus will end July 6-7 next year on the home turf of the Snowbirds, arguably the most popular military air demonstration team in the world. O’Reilly grew up in Moose Jaw and said airshows are a powerful recruiting tool for the RCAF and aviation in general. “I just grew up hearing that noise all the time and just looking up in the sky and thinking that’s something really cool men and women get to do and that’s something I’ll probably never get to do, not really realizing it’s something available to all Canadians,” O’Reilly told Global News. Snowbird Commander Lt-Col. Mike French said the team will be at peak performance during hometown show since it happens in the middle of the season. The team is now home in Moose Jaw absorbing new pilots and training for the 2019 season. The Snowbirds actually perform a homecoming show for family and guests every October. Organizers expect about 30,000 people to attend the July show. The full lineup will be announced in coming months and the show will also feature a cabaret and a custom brewed and labeled beer brewed just for the show.